DWGO – Drink Wine and Get Organized Memorial Day Edition! Its all about the pool, patio and picnics this weekend! 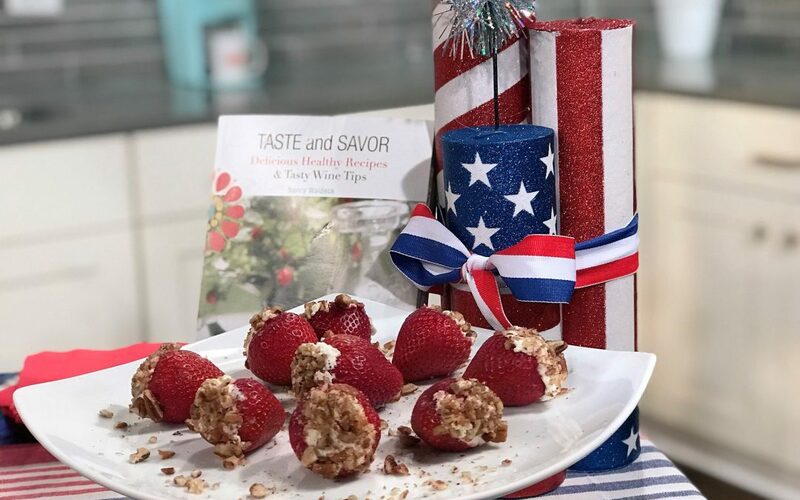 Here’s a yummy, easy and QUICK appetizer to share with family and friends AND a crisp cool refreshing wine to enjoy with all the fun! Transport these bright and juicy berries for a Picnic – Wrap the stuffed strawberries individually in plastic wrap and take it with you in your cooler – stays delicious and refreshing all day long. Hull the Strawberries and set aside. Mash the goat cheese with the orange zest. Stuff the strawberries and roll the top in nuts. What to drink this Memorial Day! Summer is the time for Rose – A rose from the South of France makes summer fun! 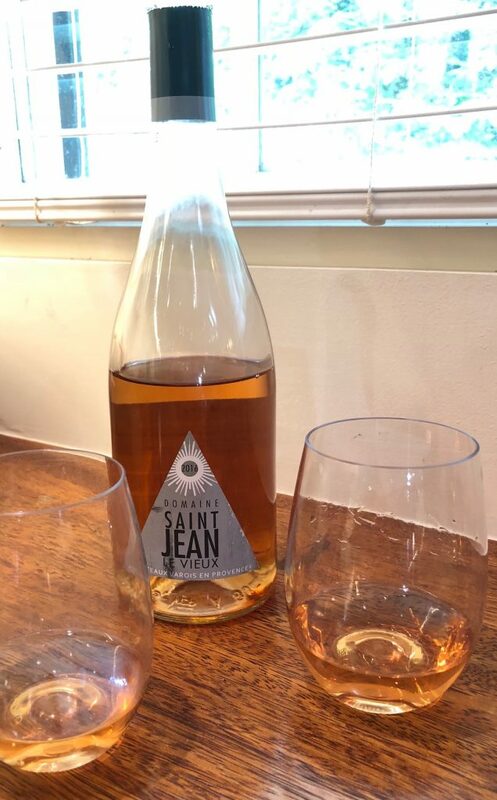 Not only does it make summer fun, but Provencal Rose is the kind of flavorful pink wine that our GIs after WW II enjoyed in France. My dad had a fondness for rose after trying in out in France after the war. Grapes like Grenache, Syrah and Mourvèdre and Cinsault are used to make rose. This light Provençal rose is full of fresh strawberry and citrus flavors – a gorgeous match for grilled shellfish or berries with goat cheese. Its so Cool and refreshing – serve it cold! Use plastic wine glasses with a thin rim to best enjoy the wine. You can find them anywhere – even the grocery store! I use the Mozaik brand – I find them in the paper goods aisle. JUNE 4th at 1 EDT to Drink Wine and Get Organized! The Friday Four is a weekly digital newsletter with just FOUR THINGS: a Delicious Healthy Recipe, A Kitchen Smidgen, A Get Creative Tip and a WINE FIND of the WEEK. Want to receive the Friday Four in your inbox? Enter your email below.